When lives are at stake not all threats are visible, and in order to protect people and the environment you need the capability to see and identify chemical, biological, radiation and nuclear (CBRN) threats. We at Environics can help you to be prepared and make CBRN threats visible. With reliable and timely measurement data, you will be able to react on time. Our solutions range from those covering personal safety to those working on national security. 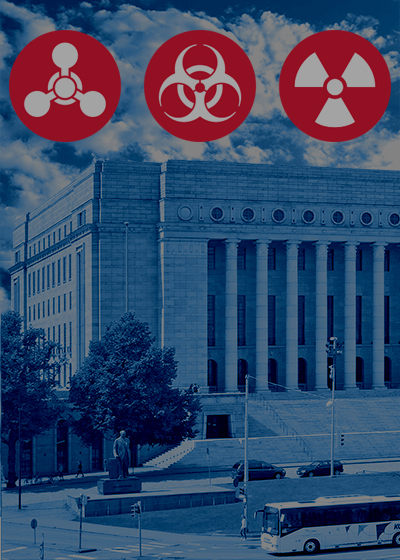 Different safeguarding organisations around the world from civil defence and homeland security to the military have already chosen us to be their partner in CBRN threat detection. Our solutions have been delivered to over 50 different countries worldwide. Behind our comprehensive range of products and solution is a highly competent team of experts who have years of experience in the implementation of demanding projects in the fields of CBRN and industry. At Environics we are strongly committed to meeting our customer needs and requirements as well as continuing to develop state-of-the-art technologies and innovative solutions to detect and analyse the constantly evolving CBRN threats and industrial requirements. All of our processes, including development and manufacturing, are guided by certified Quality Management Systems. 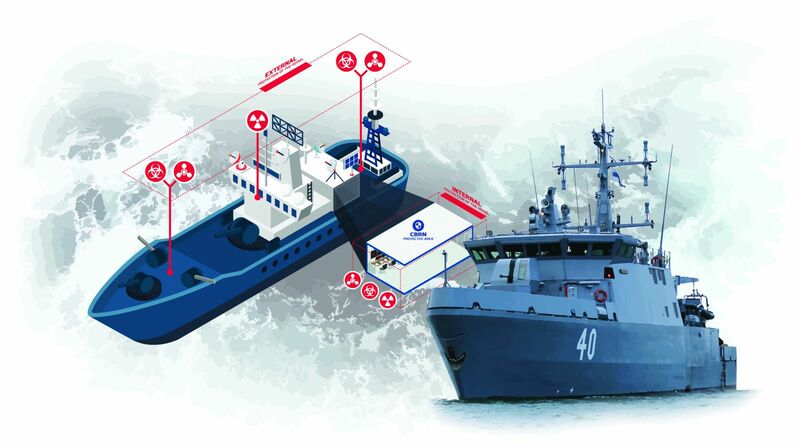 Environics designs and supplies Naval CBRN Monitoring Systems worldwide to naval vessels ranging from frigates to MCMVs. We focus on providing personnel with timely warning and protection from CBRN threats and their hazardous effects. The system as a whole provides both situational awareness from detectors – independently and as a whole - as well as guidance by software. This enables the personnel on board to perform further analyses and to counter threat events in a correct and timely manner. 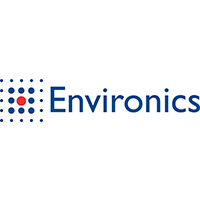 Environics provides capable, functional, and cost-effective product solutions to meet the requirements for covering the entire timeline of a CBRN incident. 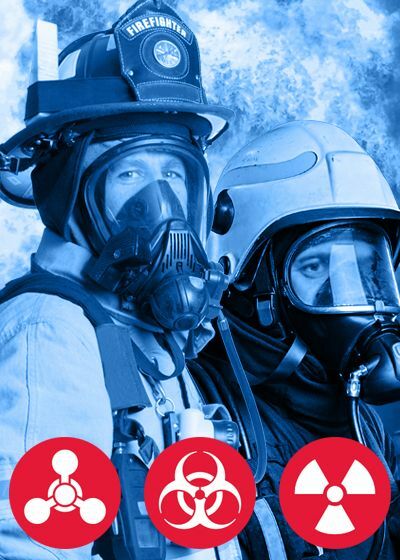 Fire brigades, police forces and military troops in over 50 countries use our products and solutions to help deal with the varying circumstances on site. The detectors come in cases that are easily included in the limited space available in fire trucks, minimizing the logistics issues and footprint. Buildings are vulnerable to releases of chemical, biological and radiological agents for several reasons. They gather masses of people for long periods of time, receive mail and cargo and have high occupant density compared to outdoor areas. Furthermore, HVAC systems and movement of people can effectively transport harmful airborne material throughout the facilities. Enclosed spaces with rather stable atmospheric conditions can retain high agent concentrations and reduce the amount and durability requirements for the release agents. 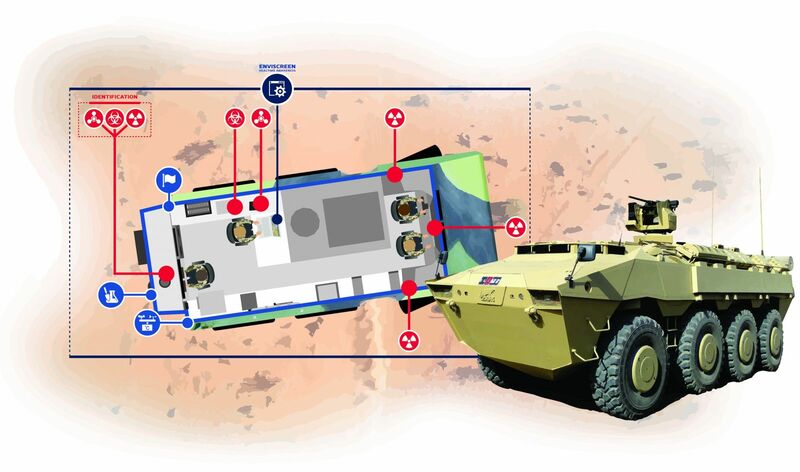 Building CBRN Monitoring Systems provide significant value to CBRN incident management. By enabling timely threat detection and mitigation of the hazardous effects, they complement the passive and responsive protection measures of buildings.